Health is, without a doubt, the most important thing in a person’s life. In this day and age, it’s easy to keep tabs on one’s well-being through a wide variety of methods without having to alter his or her life in a big way. For people who suffer from asthma or other lung-related diseases, an oximeter is a perfect tool to have around to keep tabs on their blood oxygen levels. Oximeters are tools that measure both the pulse and blood oxygen levels, metrics that are essential to people who find themselves suffering from the aforementioned conditions. They’re great because they’re non-invasive, inexpensive and very portable. Throughout this piece, we’ll be taking a look at the 1byone Portable Instant Read Digital Oximeter, an easy solution for a tough task. 1byOne is a versatile tech company with a lot of digital products included their portfolio. The 1byOne Portable Instant Read Digital Oximeter is an all-around useful, non-invasive and easy-to-use portable oximeter. When shopping for medical-related products, the internet is often a pretty confusing place. It’s important to get something that has all of the safety approvals and comes from a somewhat reputable brand. The 1byOne product is, in that sense, a perfect choice. The 1byone Portable Instant Read Digital Oximeter is a pretty straightforward product. The package comes with the oximeter, batteries and a manual. As stated above, the design is sleek and modern, making it comfortable to use in different environments without causing awkward moments. Being FDA- and CE -approved, the device is very accurate. It consistently stays within a 3% margin of error, making it reliable in the long run. This, paired with the easy-to-use features that it comes with, makes it a handy tool for people who suffer from lung diseases. The pulse reader works fine and provides constant and reliable results. The only real issue that comes with the 1byone Digital Oximeter is the build quality. Not a deal-breaker, but the plastic build doesn’t do it justice. The hinge and spring system is not the best which means the users must handle it with more care and store it properly. Other than that, it’s an all-around good oximeter and pulse reader that delivers instant and accurate results. That being said, users still need to keep a close relationship with their physician if their health condition is not in tip-top shape. The 1byone Portable Instant Read Digital Oximeter is merely a tool that provides users with quick metrics which must be complemented by a proper diet and treatment plan. Taking treatment into one’s own two hands is not recommended. This section is dedicated to other similar products from the same market, an essential step in determining the actual value of the 1byone Digital Oximeter. 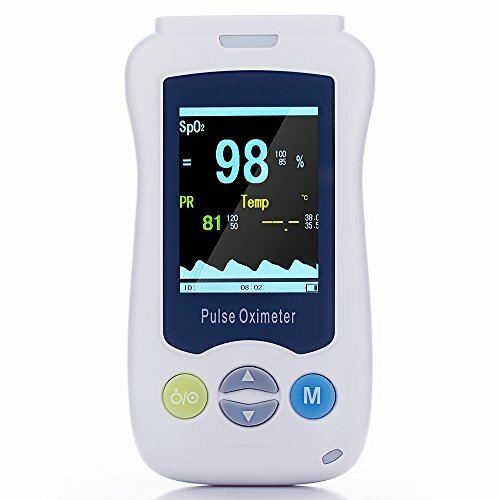 The product of choice for this comparison is the Yonker Handheld Fingertip Pulse Oximeter, a similar device that’s targeted towards the same buyers. The first difference that comes to mind is the price. While they’re both somewhat affordable, the 1byone Digital Oximeter is considerably cheaper, making it more accessible for those who need this vital piece of medical equipment. The real difference, which is a big deal-breaker, is the fact that the Yonker Handheld Fingertip Pulse Oximeter doesn’t come with the necessary certifications like with the 1byone oximeter does. This means that the regulating authorities don’t deem it accurate enough or that the manufacturer didn’t go through the necessary steps towards getting these approvals. To sum up, the 1byone Portable Instant Read Digital Oximeter is an excellent choice for people who need an easy-to-use home oximeter. It has uncomplicated features and a great design. The only real drawback is the somewhat lacking build quality. When comparing it to other market solutions, this product has a good value. 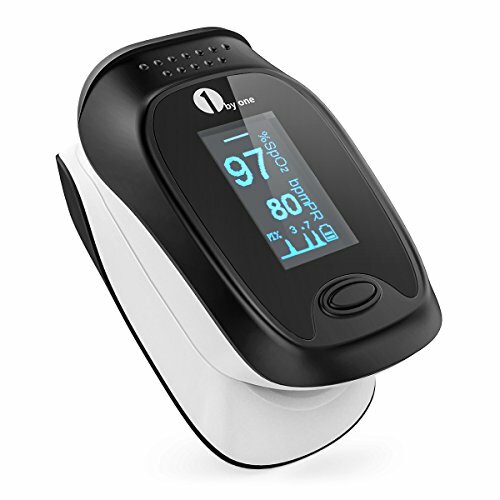 All in all, it’s a reliable, FDA- and CE-certified blood oxygen and pulse meter that needs to be in every patient’s home.